It's time for them to take their shot! 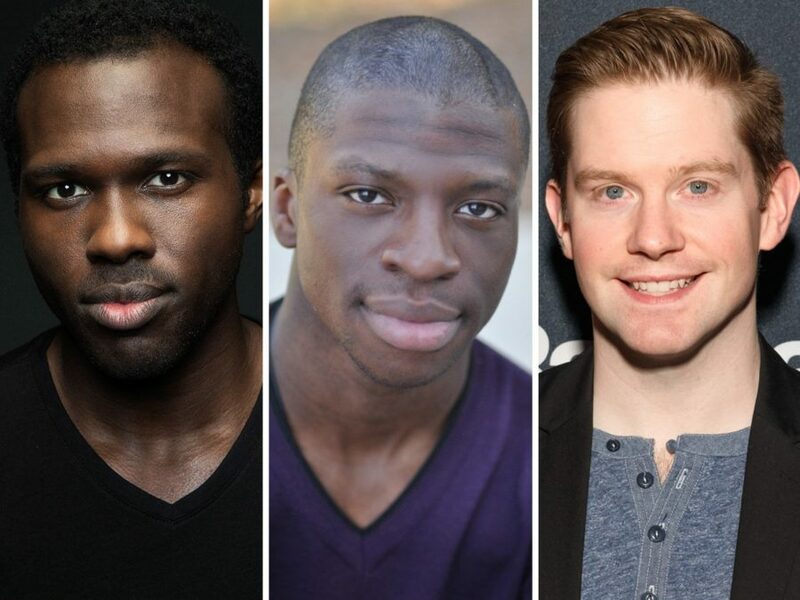 Tony nominee Joshua Henry, Michael Luwoye and Tony nominee Rory O'Malley will headline the touring production of Lin-Manuel Miranda's Tony-winning musical Hamilton. The trio take on the roles of Aaron Burr, Alexander Hamilton and King George III, respectively. The national tour of the tuner will begin performances on March 10 at the SHN Orpheum Theatre in San Francisco, before playing its premiere Los Angeles engagement at the Hollywood Pantages August 11 through December 30. Henry, currently performing in the Chicago production of Hamilton, made his Broadway debut in In The Heights, received Tony Award nominations for his roles in Violet and The Scottsboro Boys and created the role of Noble Sissle in Shuffle Along. Luwoye made his Broadway debut in Hamilton and was nominated for a 2016 Lucille Lortel Award for his work as Jacob in Invisible Thread. O'Malley is currently playing King George III on Broadway and received a Tony Award nomination for his role as Elder McKinley in The Book of Mormon. Other principal roles in Hamilton will be played by Rubén J. Carbajal as John Laurens/Phillip Hamilton, Jordan Donica as Marquis de Lafayette/Thomas Jefferson, Amber Iman as Peggy Schuyler/Maria Reynolds, Isaiah Johnson as George Washington, Solea Pfeiffer as Eliza Hamilton, Emmy Raver-Lampman as Angelica Schuyler and Mathenee Treco as Hercules Mulligan/James Madison. The national tour cast will also include Ryan Alvarado, Raymond Baynard, Amanda Braun, Daniel Ching, Karli Dinardo, Jeffery Duffy, Jennifer Geller, Jacob Guzman, Julia Harriman, Afra Hines, Sabrina Imamura, Lauren Kias, Yvette Lu, Desmond Newson, Desmond Nunn, Josh Andrés Rivera, Raven Thomas, Ryan Vasquez, Keenan D. Washington and Andrew Wojtal.